Intruders: Hide and Seek is developed by Spanish studio Tessera Studios. It is a PlayStation 4 exclusive game, compatible with PlayStation VR. Intruders: Hide and Seek is a first-person stealth game where the player plays as Ben, a small child that witnesses how three violent strangers tie and torture his parents at his own home. Navigate the house, try to avoid the enemies at all cost and uncover the reasons behind the horror you’ve witnessed. 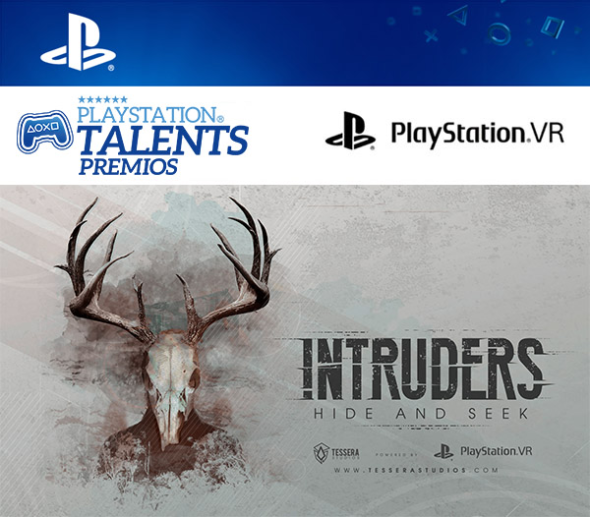 Among other awards, such as the Press Award and the Best Student Game award, Intruders: Hide and Seek won the Best Game prize at III PlayStation®Talents awards. Intruders: Hide and Seek will be available on Playstation VR on February 13th as a digital download on the PlayStation Store. For more information, be sure to check their official website here, or their official blog here.